How do you calculate the proper sales velocity, so that sales are moving through your pipeline rapidly but accurately? 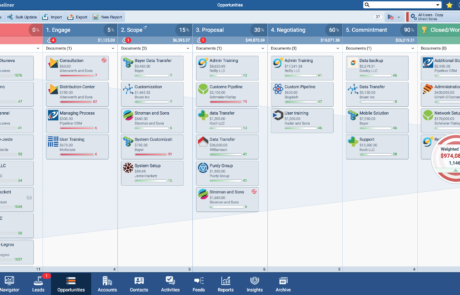 The Pipeliner CRM Velocity feature greatly assists in getting you there. In order to be profitable, a sale must move through the sales process in a timely manner; salespeople and sales managers acknowledge that the likelihood of closing decreases the longer a sale remains in the Pipeline. In order to keep a clear view of your Opportunities, you must know how long they are taking to close. Opportunities that stall need to be identified so they can be addressed or moved out of the active Pipeline. In order to keep a firm handle on your sales process, you need to know how long each sale is taking in each Sales Stage. You can work out (from experience of your best salespeople, and from statistics) how long a sale should take to close, and how long it should take to move through each Stage of the Sales Process. Every company needs to have a crystal clear visual view into the Velocity of Leads and Opportunities. 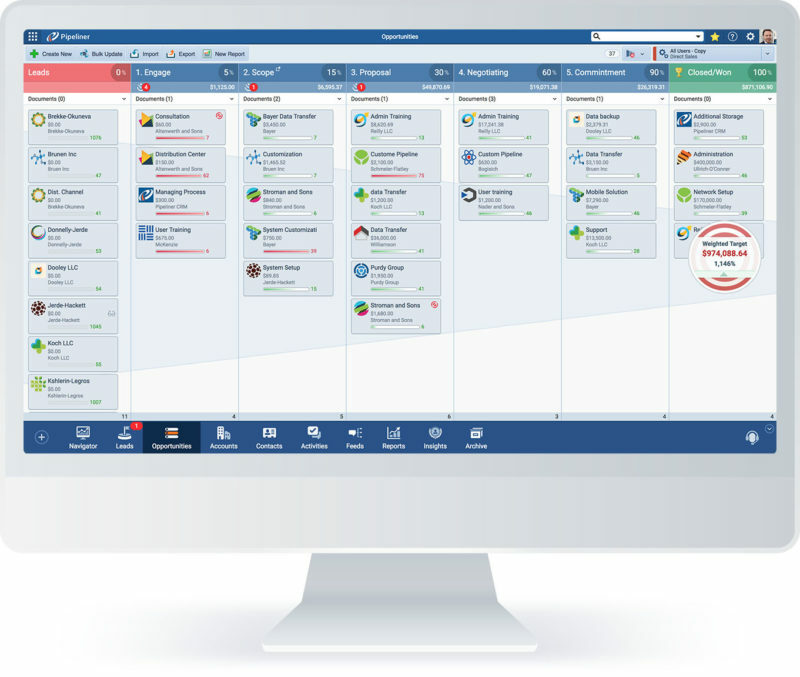 Pipeliner is the only CRM solution that provides this feature. 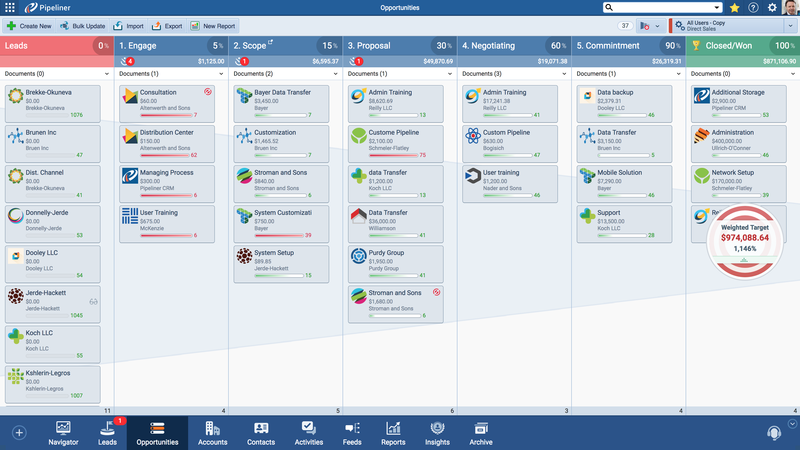 For more info about Pipeliner CRM personal and business plans check our Pricing Page. Dynamic Target Feature keeps a constant visual check on your target progress and is capable of showing more than one KPI. Filter options allow you to filter and view tasks, contacts, accounts, leads and opportunities based on any field. Documents needed for sales are never more than 1 click away.